Itchy feet? Wanderlust? Ever dreamed about weighing anchor for a life aboard ship? Find out what it’s like to “live the dream” at the Oliver Regional Library. 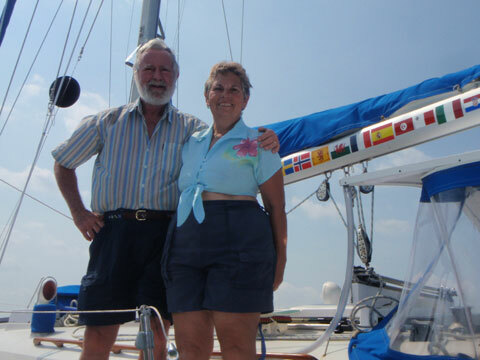 Meet Aubrey and Judy Millward, who sailed away in the 32-footer, Veleda IV, for SIXTEEN years! Follow their story in slideshow format as they lead you down the Mississippi, across the Atlantic, around the British Isles, down the rivers of Europe, and through the Mediterranean. They will talk about their liveaboard lifestyle for 16 years. 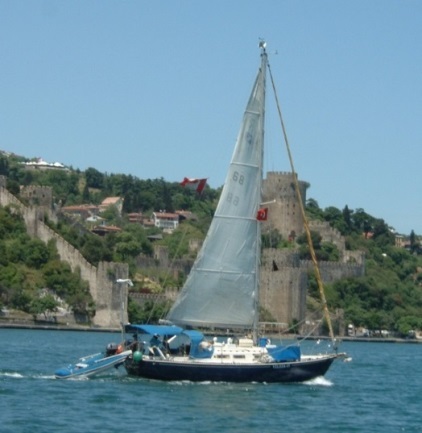 Pictured above: Veleda IV up the Bosphorus in front of the Rumeli Fortress in Turkey. Visit their website at www.veledaiv.ca for further info. And while you’re at the library, just think of all the travel books and sailing adventure stories just waiting to be checked out! Ask the librarian for suggestions.